Blackburn & Roberts provide a variety of low cost bridges which are ready to buy “off the shelf”. They are designed to fully comply with Highways Agency Bridge Codes and Euro Codes. Each bridge is supplied with a Design Certificate signed by one of our Chartered Engineers. Our Brandon Bridge System is we believe to be the most cost effective and low maintenance steel bridges, with beams, on the market. The galvanised deck plates are coated in our Asa-grip anti slip coating. Designed to fully comply with Highways Agency Bridge Codes and Euro Codes. The Design Live Loading is 5kn/sqm and the parapets meet crowd loading criteria, these are fully compliant structures. 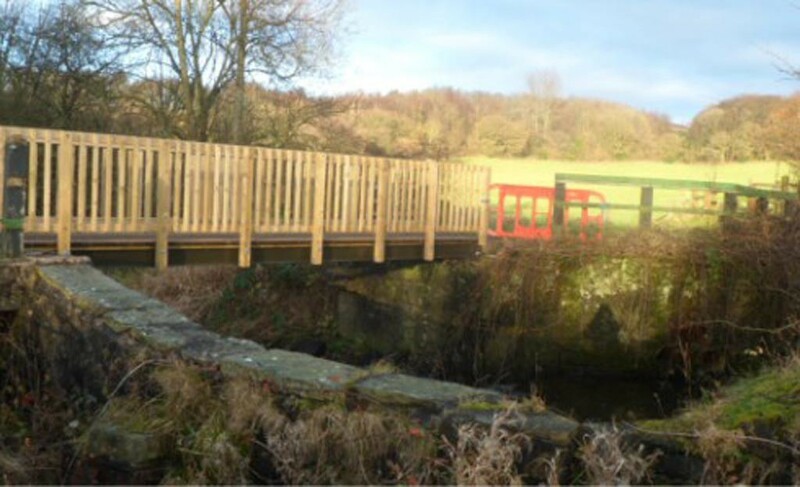 Each bridge is supplied with a Design Certificate signed by on of our Chartered Engineers. We supply the bridges in a Galvanized finish to EN ISO 1461. The Bridges are fully welded by Coded Welders. The parapet is set at 1400mm to comply with requirements for Cyclists. The infill spindles makes it safe for all users. 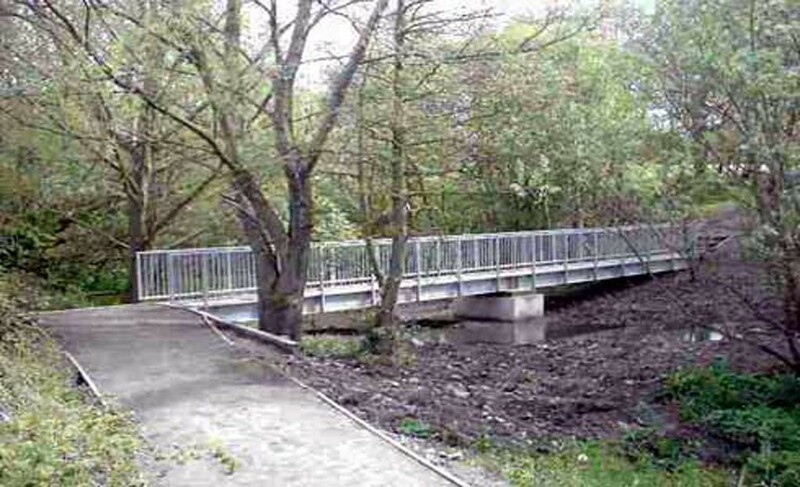 The visual impact of a bridge is improved by cambering it. We offer this service for an additional fee. Most of our clients install the units themselves but we can offer an installation service if required. Our Site Team operate to the highest standards and fully comply with CDM. If the installation required the use of a crane to place the bridge we can carry out this with lifts designed by our In-House Appointed Person and carried out by qualified Banksmen. We are proud to offer our Payton Bridge System which we believe to be the most cost effective and low maintenance steel bridge on the market. The galvanised deck plates are coated in our Asa-grip anti slip coating. Designed to fully comply with Highways Agency Bridge Codes and Euro Codes. The Design Live Loading is 5kn/sqm and the parapets meet crowd loading criteria, these are fully compliant structures. Each bridge is supplied with a Design Certificate signed by on of our Chartered Engineers. 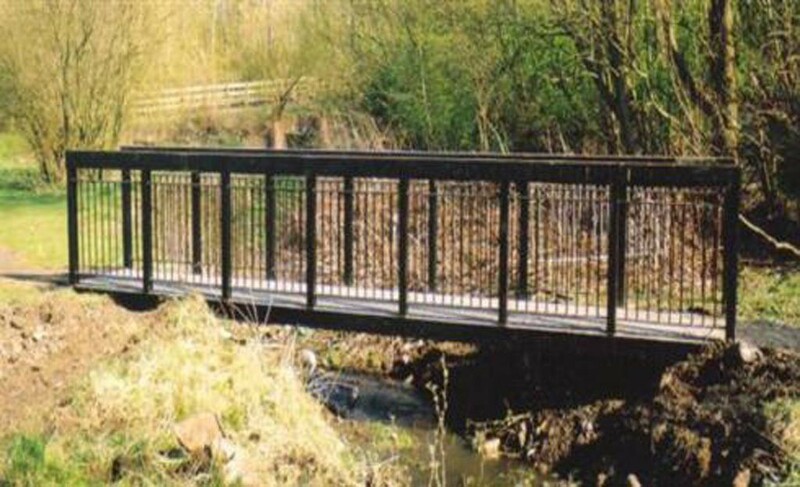 We supply the bridges in a Galvanized finish to EN ISO 1461 but many clients them paint them after erection to suit their environment. The Bridges are fully welded by Coded Welders. The parapet is set at 1400mm to comply with requirements for Cyclists. The infill spindles makes it safe for all users. Most of our clients install the units themselves but we can offer an installation service if required. The Kara system comes into its own when a client requires a bridge with a wooden "feel" but with the strength, robustness and length achievable only with steel. Like its namesake this system is elegant, well presented but with a core of steel! The combination of steel load bearing beams with timber deck and parapet allows longer spans than would be possible with softwood beams. We can offer the beams in both painted and galvanised finishes. For maximum life we can supply both. All of our timber is stress graded (C24 and tanalised) comes from "Responsibly managed forests" and authentication of this is available. Deck boards are supplied grooved and each board also has 2 Anti Slip inserts offering our celebrated Asa Anti Slip Treatment. Parapets are available in Post and Rail or In-Fill Spindle designs. All fixings at ground level are in stainless steel and others are galvanised for maximum life and ease of future maintenance. If required we can supply Kara Bridges with the hardwood timber. We offer a foundation design and construction service if required. 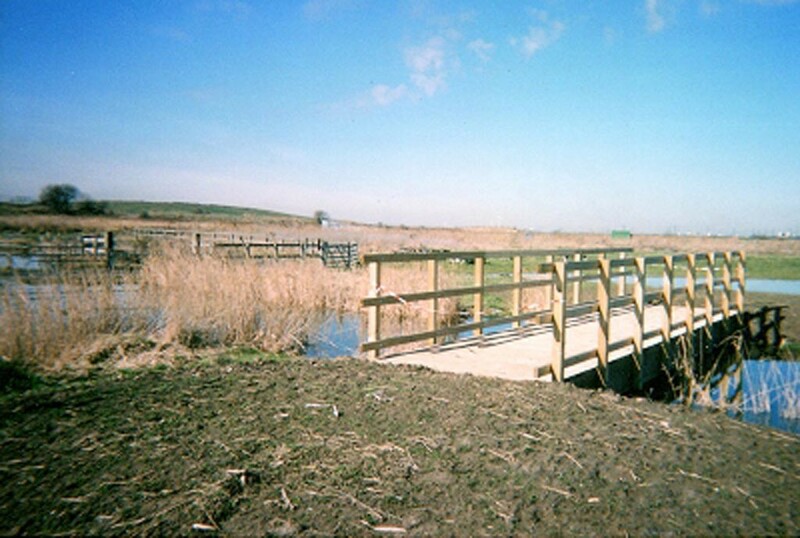 Bridges can be supplied assembled or in kit form. Many clients prefer us to install their bridges and we do this in accordance with CDM Regulations. We offer bridges in Hardwood and Softwood. All timber is from Responsibly Managed Forests. We can supply, supply in kit form, supply and install and install onto new foundations (supplied by ourselves). © Copyright 2019 Blackburn & Roberts Ltd. All Rights Reserved.